Above and beyond...I have gotten a great feel from DCU since I first acquired an auto loan. Thrilled to capitalize on all the benefits of my membership. These lending products help you get over the initial cost of purchases that will cut your energy bills in the long run or break up the concentrated cost of home heating over smaller monthly payments. Use to finance energy-saving improvements to your home such as insulation, heating system upgrades, pellet or wood-burning stoves, storm windows, and much more. If you are planning to purchase an energy efficient auto, this loan will make your vehicle even more affordable. For adding insulation, upgrading your home's heating system, adding a pellet or wood-burning stove, adding storm windows and doors. *Member must qualify for unsecured loan. **Rates are determined by your personal credit history. For oil, gas, propane, electric heat, pellets, or firewood used for home heating. Maximum loan up to $3,000. *Member must qualify for unsecured loan. Only one Fuel Assistance Loan allowed at one time. Energy Efficiency and Fuel Assistance Loans is rated 4.4 out of 5 by 23. Rated 5 out of 5 by Bowhunter45850 from Solar Engergy Loan Has been a great experience as far as getting the loan at a reasonable rate and payment. Rated 5 out of 5 by Sugar 1 from A variety of options appreciated. Only been with the company a short time but pleased with the rapid response I have received. Rated 5 out of 5 by Mike from Very easy process with great communications throughout the process See above. Very easy process with great communications throughout the process. Rated 5 out of 5 by Greybeard from Solar Installation Loan Representatives of DCU made a very involved mass of paperwork easy to wade through and complete. Staff was very response to my questions and concerns and was able to explain all facets of the process to my satisfaction. As such, loan was approved in a brief amount of time, and the actual construction scheduled. We hope to be generating solar electricity within 2 weeks of loan completion. We are thinking of adding solar panels to our house. what is the procedure to get loans with DCU for this? Please call us at 800/328-8797 option 3 to apply. Energy efficiency loan - can you have 2 at the same time? I have a very old, large bow window and drafty door that need to be replaced and I am currently working with a door/window installer for those installations. I would also like to convert my all electric heat to efficient natural gas or solar. Could I have 2 energy efficient loans at the same time? Or does one have to be paid in full before applying for the second? You can apply for more than one as needed or consolidate all improvements into one loan for the home improvements you plan to make. can i get a loan to pay off my credit cards. i need help paying off my credit cards and was wounding can i get a loan to pay them off. also im in the process of looking for an apartment. which is tough i only make 900.00 a month is there any help i can get. You would want to apply to determine your eligibility. Typically a Bill Consolidation loan is used to pay off credit cards. Can I get a Energy Efficient Auto Loan on 2013 Hyundai Sonata Limited 2.4L non-turbo model car? I am planning to buy a Hyundai Sonata Limited 2.4 L non-turbo model car with a Premium navigation package. Please let me know. Thanks. In order to qualify for the Energy Efficiency rate discount, the vehicle you are purchasing must meet the Government's established guidelines ( http://www.fueleconomy.gov/feg/Find.do?action=sbsSelect ) for fuel economy which is an average of 35 MPG (Miles Per Gallon). For the 2013 Hyundai Sonata vehicle you described, it has an average of 28 MPG, therefore, it would not be eligible for this rate discount. With an energy efficient loan, can I replace my roof? Also, is there a limit to the amount you can borrow? We also need to insulate, get replacement windows and storm doors, and replace our old hot water tanks with on-demand systems. Can this loan be used for owner-occupied three family homes? 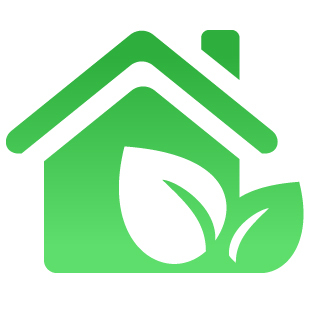 Qualified borrowers may obtain an Energy Efficient Loan for an amount between $200 to $100,000. Terms are up to 60 months in length. The purpose is to add insulation, upgrade furnace or home- heating system, Pellet Stoves, Wood Burning Stoves, install storm windows and doors, but other items may also qualify. Please call us to learn more. I switched from my bank last year - WILL NEVER GO BACK! Cannot say enough good things about DCU. Apply Online – 24 hours a day, 7 days a week. Apply by phone – 24 hours a day, 7 days a week call 800.328.8797 or 508.263.6700 and press 3. Any DCU Branch – Visit your local branch. I have been using DCU since they started and I have always been very happy with their service, value, products and features. Are You Already Approved? – Login to Online Banking and check your Account Manager inbox for a message. If you are, you can accept your approved loan online. Loan Payment Method Authorization (.pdf format) – Use to have DCU set up electronic loan payments by transfer from your DCU savings or checking account. Note: you can set this up on your own with Internet Online Banking Automatic Transfers. Payment Protection – Helps relieve the pressure of your loan payments during certain unexpected events. Loan Calculator – Use these calculators to determine an approximate loan payment based on the loan amount (loan cash), term, and credit history standing. This helps you see if a loan will fit within your budget. StreetWise Guide to Credit – StreetWise guide helps you understand how credit works, how to use it responsibly, how to know if you are having difficulty with it, and what to do if you are. Skip a Payment (.pdf format) – You have the option to skip a loan payment without impacting your credit rating. Calculate Finance Charges – Sometime members have questions about how Finance Charges or Interest on their DCU loan accounts are calculated. This information is designed to make the information in your loan disclosures a little easier to understand. Schedule of Fees and Service Charges – Details regarding member benefits that may help you avoid fees.